Just when you thought your beloved G&T couldn't get any better, it's gone all Kim Kardashian glow up. But instead of hitting the gym and getting bleached hair, gin's gone from clear to pink and the result is oh so pretty. 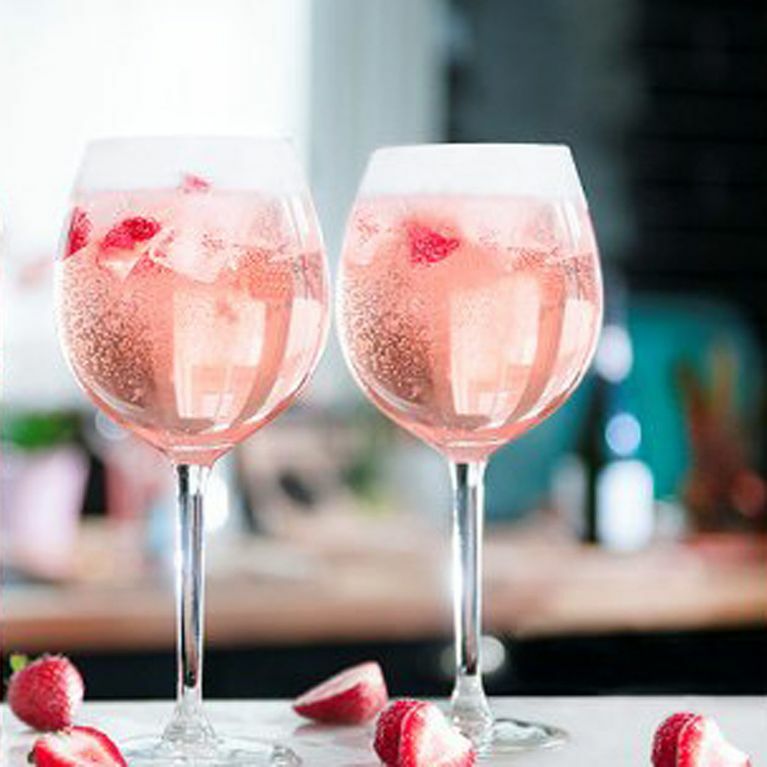 If you're looking for a new summer obsession now that Love Island has finished, pink gin will more than fill that void. Nothing says summer quite like a crisp gin and tonic, laced with cucumber and ice and a squeeze of lime if you're feeling particularly extra. And as if you need another excuse to indulge, it also cures hay fever too. But while that bitter combo makes for an amazing taste, the boring clear liquid doesn't exactly hit the Instagram sweet spot - until now that is. Your favourite tipple has been given a pretty AF update that will guarantee you rack up double-figure likes in no time. Meet Gordon's premium pink distilled gin - the pastel pink-coloured gin that's about to make your summer pretty in pink. The colourful cocktail is said to be "crafted to balance the refreshing taste of Gordon's with the sweetness of raspberries and strawberries with the tang of redcurrant". I mean, there's just something about the word 'tang' that screams sophistication isn't there? Gordon's Premium Pink Distilled Gin boasts a "sweeter and more accessible way to enjoy a gin and tonic" so if the traditional bitterness of a G&T isn't to your taste, this fruitier version could convert you into the gin queen you were born to be. The serving suggestion is in a large wine glass (is there any other size? ), filled with ice and garnished with fresh strawberries. Just hold up a second before you go whizzing off to activate the out of office en route to the nearest beer garden because this gin is available in-store rather than in-pub at Tesco for £13. GO GO GO.